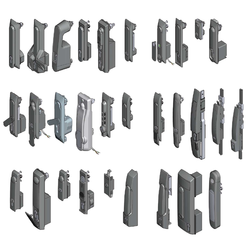 Locking mechanisms in all their guises form a core product line here at EMKA where our door locking systems run from ¼ turn locks through to electronic access control with radio controlled locks and/or networked systems. Our signature swinghandles form a modular program with multi-point rod locking and increasingly popular electronic lock operation. Standard cabinet locks are complimented with general purpose lockable handles and actuators such as flap locks, retractable handle locks, dead bolt locks, slam locks and latch locks. Share the post "A Look-at-Locking"